In 2015, Tanzim al-Qaeda fi Jazirat al-Arab, or al-Qaeda in the Arabian Peninsula (AQAP), had established de facto rule in Yemen’s fifth largest city Mukalla, held swathes of territory in the east of the country and controlled strategic smuggling points across the country’s eastern coastline. The local franchise of the global militant organization had exploited the chaos instigated by the 2011 uprising in Yemen, the subsequent Houthi (Ansar Allah) insurgency and the entry of the Saudi-led military coalition int0 the conflict in 2015. In terms of territorial control, financial resources and manpower, AQAP had never appeared stronger. There has since been a dramatic reversal of these gains. A United Arab Emirates-led counterterrorism offensive beginning in 2016, buttressed by an escalation of United States drone strikes and direct military engagement, has forced AQAP into a large-scale retreat, caused significant leadership loses, broken its lines of communication, and seen local powerbrokers turn against the group. Rather than confronting the superior military firepower of the counterterrorism forces, however, AQAP has generally withdrawn from held territory and retreated to more remote safe-havens, focusing on damage control and trying to limit its top commanders’ exposure to targeted airstrikes. Importantly, this weakened status and concurrent drop in activity should not be regarded as an indication of the group’s absolute decline as an actor in Yemen. AQAP’s modus operandi has historically been based on cyclical calculated retreat, regrouping and re-emergence; unlike other players in the war, control of terrain is not necessarily reflective of the group’s resilience. While the uptick in US and UAE counterterrorism operations diminished AQAP in many ways, the prevailing conditions that allowed the group to flourish have only been amplifying. The ongoing conflict in the country, and the violence, insecurity, social schisms, state collapse, economic crisis and humanitarian catastrophe it has wrought, continues to feed into AQAP’s interests and create operational space for the group to re-emerge. AQAP has also shown its ability to survive and recover from the repeated losses of leadership figures, while the ongoing war in Yemen creates a natural pool of talent and experience from which AQAP can garner future recruits. Ultimately, the means by which to end the threat of AQAP in Yemen, and beyond its borders, is through ending the conflict by way of a representative political settlement and rebuilding the state, public institutions and effective security forces. Until this is achieved the group’s strategic retreats – like those currently underway – will continue to allow for its inevitable resurgence. Current measures against AQAP will only contain, rather than eliminate, the group as a threat. The roots of al-Qaeda’s presence in Yemen can be found in the late 1980s with the repatriation of thousands of Yemeni nationals who had fought with the mujahideen in Afghanistan against the Soviet Army. These seasoned fighters proved useful to Ali Abdullah Saleh, then-president of the Yemen Arab Republic (North Yemen), who used them as part of a campaign to undermine the Marxist government of the People’s Democratic Republic of Yemen (South Yemen). Following the country’s 1990 unification, Saleh continued to covertly leverage these jihadist fighters against southern socialist parties opposed to the merger of Yemen’s north and south. AQAP’s predecessor, al-Qaeda in Yemen (AQY) first drew widespread attention in Western counterterrorism circles on October 12, 2000, when an attack on the United States Navy destroyer the USS Cole in the port of Aden left 17 American service personnel dead and 39 wounded. The subsequent joint US-Yemen counterterrorism offensive against AQY appeared to decimate much of the group’s manpower and operational capabilities in Yemen. In 2006, however, AQY staged a public resurgence with a jailbreak that saw 23 militants escape. These included a former secretary to Osama bin Laden, Nasir al-Wuhayshi, who would later become the founding leader of AQAP when the group officially announced its formation in January 2009. Attacks on Western targets resumed following the jailbreak, including a suicide bombing in Marib in 2007 that killed eight Spanish tourists, and a 2008 attack on the American embassy in Sana’a. But it was AQAP’s failed bombing of Northwest Airlines Flight 253 on Christmas Day 2009 that cemented AQAP’s status among Western intelligence and security communities as the most dangerous al-Qaeda franchise. Umar Farouk Abdulmutallab, a Nigerian national sentenced to life in prison for the attempted bombing, told investigators AQAP had trained him in Yemen and ordered him to attack US targets as retaliation for the killings of militants in the country. The upheaval and state collapse that followed the 2011 Yemeni uprising, the onset of the Houthi insurgency against President Abdo Rabbu Mansour Hadi, and the entry of the Saudi-led military coalition into the fray offered AQAP various new opportunities to assert itself; notably, though the fragmentation of the Yemen army in 2011, and later by claiming the populist mantle of fighting to protect Sunni Muslims against the Houthis, whose Zaidi sect is a branch of Shia Islam. Under the banner of Ansar al-Sharia – “Supporters of Islamic Law” – AQAP militants seized swathes of territory and key towns in Abyan and al-Bayda governorates. AQAP’s most significant advance came in seizing Yemen’s fifth-largest city, the strategic port of Mukalla in Hadramawt governorate, in 2015. Here, AQAP was able to stock its financial reserves through a $100 million heist of the city’s central bank branch, while the levying of fees on goods and fuel entering the port earned the group an estimated $2 million daily. Meanwhile in January 2015 AQAP again demonstrated its capacity to strike targets beyond Yemen’s borders with an attack on the offices of the magazine Charlie Hebdo in Paris, for which it claimed responsibility. In urban areas that AQAP overtook – such as Mukalla, Zinjibar (Abyan governorate), and parts of Shabwah governorate – the group quickly asserted itself as the local governing authority. This included activating a Sharia judiciary as a substitute for the official judiciary, and administering basic public services and small-scale infrastructure projects. In rural areas, especially in al-Bayda, Marib and Shabwah governorates, where the communities are tribal in character and operate autonomously from the state, AQAP did not seek to develop governance mechanisms. Rather, it has sought to form relations with and integrate into the local power structures without becoming the center of influence or authority. One means of pursuing tribal integration has been AQAP members marrying into the tribes, as happened with the al-Dhahab tribe in al-Bayda governorate. Another has been through financial relations – such as arms trafficking and other forms of smuggling – which makes the relationship with AQAP profitable for tribal leaders. Buttressing a tribe’s military strength against rivals has also gained AQAP fighters a favorable reception in tribal areas. Given their isolation from the state and the outside world as a whole, tribal groups in rural areas are generally indifferent to wider political concerns and operate based on local, pragmatic self-interest and longstanding tribal codes. Pragmatism, rather than ideology, has also generally been the dominant consideration of the local urban population where AQAP has been present. In this regard the Houthi military expansion has greatly aided AQAP’s acceptance in various areas. In Aden, for instance, where AQAP had an active presence in Mansoura Directorate, Sheikh Othman and Shab city, the group’s fighters were able to establish good local relations by taking a leading role in expelling Houthi forces from the city in 2015. In doing this AQAP played heavily on sectarian rhetoric, claiming to be the protector of the Sunnis and taking up the banner of “The Resistance of the Sons of Aden” against the Houthis. In response to Houthi forces seizing Aden, coalition member states had rushed arms and funds to “popular resistance” groups that had sprung up to resist the invasion, oftentimes with little vetting of the recipients. AQAP also, almost certainly, benefited from this support. However, once Houthi forces were routed, popular unease with the jihadi group returned, with most of Aden’s urban population both wary of AQAP’s extremist ideology and aware, through the group’s history of suicide bombings, that it could turn violently against them. Within months, both UAE-backed local militias and Yemeni government security forces launched a campaign to drive AQAP out of Aden which, following violent clashes, was successful. In Mukalla, which has not been a frontline in the ongoing war, the 2016 UAE-backed offensive to drive AQAP from the city succeeded in only three days, as AQAP lacked the local support to hold this urban area. The fact that AQAP was able to seize Mukalla in April 2015 and hold it for a year was not due to the population’s affinity for the group’s doctrine, but rather because of the lack of effective state and security structures. After establishing authority AQAP then avoided overly antagonizing the city’s inhabitants by taking a relatively accommodating and flexible approach toward the social imposition of its ideology. The generally passive, Sufi-influenced character of the city helped temper violent resistance to AQAP, as did the fact that public service delivery – including access to water, electricity and healthcare services – tangibly improved during AQAP’s reign. However, when the UAE began mobilizing and training recruits for the Hadrami Elite Forces in 2016, thousands of young men seeking salaries enlisted and formed the vanguard force that entered and liberated the city from AQAP in April of that year. This would indicate that popular opposition to AQAP had existed, but was awaiting the shift in the balance of power to act, which came with the UAE intervention. Local relations with and attitudes toward AQAP in Yemen should thus be understood as complex dynamics largely based on pragmatic considerations. These include developments in local security, political and social circumstances, and shifts in the prevailing balance of power, with unwavering ideological support for AQAP held by few. Yemen has been a primary theater for US counterterrorism operations since 2000, spurred by the USS Cole attack and the reorientation of foreign policy toward the “War on Terror” following the 9/11 terrorist attacks in New York and Washington, DC. In this regard November 3, 2002, was a watershed moment, marking the first US drone strike in Yemen and the first extrajudicial killing of an American citizen in the country. On that day a Predator drone operated by the US Central Intelligence Agency fired a hellfire missile at a vehicle in Marib governorate, killing six men; among them Qa’id Salim al-Harithi, a Yemeni suspected of helping to orchestrate the USS Cole attack, and Kamal Derwish, an American whom US authorities suspected of being al-Harithi’s assistant. Yemen’s then-President Saleh presented himself as a partner in the US War on Terror, welcoming American training and funding for Yemeni counterterrorism units. However, growing US distrust of the Yemeni security establishment led American forces to increasingly focus on unilateral operations. From 2004, the growing Houthi insurgency in Yemen’s north also shifted the Yemeni government’s attention away from al-Qaeda and exposed Saleh’s increasingly divergent priorities with the US. Nevertheless, US-backed Yemeni counterterrorism efforts in this period recorded measurable successes, with the majority of al-Qaeda’s senior leaders imprisoned by the mid-2000s. US President Barrack Obama took office in January 2009 and supported the policy of funding, arming and training Yemeni government security forces while largely limiting direct US operations to drone strikes. Through Obama’s second term, however, mounting civilian casualties from targeted US drone strikes, the local outrage these drew and the lack of US accountability beckoned increasing criticism of Obama’s policies from human rights groups, analysts, the media and in the US Congress. Notably, the drone campaign earned the veneer of legitimacy with the ascension of Hadi to the presidency in 2012, who voiced support for drone strikes during a visit to Washington, despite mounting popular resentment back home. During his tenure, former President Saleh had also welcomed US counterterrorism operations in Yemen. Steadfast US counterterrorism support for the Yemeni government endured until 2015, when the onset of the Saudi-led military coalition’s Operation Decisive Storm led the US Department of State to announce that remaining US special operations forces would withdraw from the country. The exit of these US personnel was accompanied by increased use of drone strikes against AQAP targets. The US also backed the UAE’s newly created local security formations that succeeded in pushing AQAP out of strongholds in Yemen’s south. The January 2017 inauguration of President Donald Trump brought a marked intensification of US counterterrorism operations in Yemen. Among the new president’s first actions was to reduce presidential oversight of US military actions in Yemen, declaring parts of the country – notably in Abyan, al-Bayda and Shabwa governorates – zones of “active hostility”. This lowered the US military’s legal requirement for operations there from “near certainty” that no civilians would be killed to allowing civilian casualties “as long as they are deemed necessary and proportionate to a legitimate military objective”, as reported in the New York Times. US military operations against AQAP subsequently spiked, with the known number of airstrikes more than quadrupling from 32 in 2016 to 131 in 2017, while US special forces also carried out various ground raids. The most well-known of the latter came shortly after Trump took office, involving a US Navy SEAL attack against a suspected AQAP safehouse in the village of Yakla, al-Bayda governorate. The death toll from this raid was at least 17 civilians — including 10 children — 14 AQAP members and one Navy SEAL, while a US military helicopter also crashed, according to the US military and media reports. Through 2017, US Special Forces also supported and provided intelligence to UAE-backed local operations to dislodge AQAP from various areas, including a campaign in May that year to drive AQAP out of parts of the Hadramawt Valley, and later the Azzan district in neighboring Shabwa governorate. In 2018, US counterterrorism operations in Yemen dropped significantly, with the US military acknowledging only 36 airstrikes and none during the last quarter of the year. Whether this signalled a change in policy or that the US military lacked targets to strike is unclear (for details, see the Sana’a Center’s recent publication ‘Trump and Counterterrorism in Yemen: The First Two Years’). As noted above, the US has supported UAE efforts to recruit, train and maintain local forces in Yemen, such as the Hizam al-Amni (or ‘Security Belt’ forces) in Aden, Abyan and Lahj, and the ‘Elite Forces’ in Hadramawt, Shabwa and al-Mahra. These security bodies – along with the Aden Security Department’s Counterterrorism Unit – have carried out direct military engagements against AQAP, sought to prevent the group’s re-emergence in areas from which it has been cleared, and offered intelligence-gathering support for the coalition’s international and regional allies. They have also provided jobs and an outlet for otherwise unemployed young men who are the main demographic from which AQAP draws recruits. The UAE has sought out and procured tribal buy-in for this new security arrangement and assistance from local fighters in routing AQAP from various areas by promising local leaders infrastructure reconstruction. The liberation of a number of southern cities and areas in 2017 was a joint Yemeni-Emirati feat. In February 2017, UAE-backed Yemeni forces launched two operations targeting AQAP in areas west of Mukalla, the southern areas of Shabwa governorate and parts of Abyan. This was followed by campaigns in Dawan district in inland Hadramawt in May, Azzan district in Shabwa governorate in August and al-Mahfad district, AQAP’s last stronghold in Abyan governorate, in November. The retaking of main cities in Shabwa by August 2017 marked the first time in years that government-affiliated forces controlled all districts in the province. UAE-backed local forces continued to carry out counterterrorism campaigns during 2018, targeting AQAP enclaves in Abyan, Shabwa and Hadramawt. In particular, in Abyan’s Mudiya district, UAE-backed Security Belt forces launched ‘Operation Crushing Revenge’ in December 2018, while UAE-backed elite were carrying out operations against AQAP forces in Shabwa’s as-Said district and western Hadramawt. The US – and to a lesser extent UAE – campaign of targeted assassinations using airstrikes has killed swaths of AQAP’s leadership figures in recent years. For instance, in 2015 US drones strikes eliminated a large portion of AQAP’s organizational administration, killing AQAP leader Nasser al-Wuhayshi, religious leader Ibrahim Rubaysh, senior strategist Nasser bin Ali al-Ansi, and senior religious official Harith bin Ghazi al-Nadhari. Al-Wuhayshi’s death ushered in Qassim al-Raymi as AQAP’s new, and incumbent, chief. The surge in US airstrikes and operations in 2017 unleashed a wave of low-to-mid-level leadership loses for AQAP. These began in January, with the US Navy SEAL raid in Yakla village which killed – along with 13 other fighters – local AQAP leader Abdel Raouf al-Dhabab. In June, US drones killed Abu Khattab al-Awlaki, the local emir in Shabwa, which coincided with an airstrike targeting other AQAP leaders in the governorate. In October, an airstrike killed Abu Ubaida al-Ludari, an AQAP emir in Abyan. A month later Mujahid al-Adeni, the newly appointed emir in Shabwa, and Abu al-Layth al-Sanani, a prominent AQAP leader in al-Bayda, were killed. US Central Command reported in January 2018 a number of successful strikes against AQAP figures carried out in December 2017: Meqdad al-Sistani, an external operations facilitator, in an airstrike in al-Bayda governorate; deputy arms facilitator Habib al-Sana’ani and Abu Umar al-Sana’ani, a member of AQAP’s dawah (preaching) committee, both in a strike in Marib; Mujahid al-Adani, a local leader in Shabwa; and media chief Hajar al-Maliki, a Saudi national, in Marib. US officials announced in August 2018 that AQAP’s top bombmaker Ibrahim al-Asiri was killed in a US drone strike the previous year. Senior field commander Sameh al-Marmi was killed in a September 2018 airstrike. In January 2019, one of the alleged top operatives behind the USS Cole attack, Jamal Badawi, was killed, though indications are that Badawi had long since ceased being an active AQAP member. In response, the AQAP leadership appears to have prioritized security to prevent intelligence leaks and avoid assassinations. These steps include local cells ending most coordination with each other and senior leadership in planning and conducting operations, while senior leadership figures – in particular al-Raymi and Khalid bin Umar Batarfi, an AQAP commander and spokesperson – appear to be in hiding, with a notable drop in AQAP media releases between 2017 and 2018 and no reports of leadership meetings. Thus far in 2019, however, AQAP and its Malahem Foundation media outlet have increased the frequency of their media releases. These have included: claiming attacks against Security Belt Forces in Abyan, Shabwa Elite Forces, against the so-called ‘Islamic State’, or Daesh, in al-Bayda, calling for regime change in the UAE on the occasion of the papal visit to Abu Dhabi in February, releasing the second episode of the group’s “Demolishing of the Espionage” series, and calling for supporters to submit questions for an open interview with AQAP’s security chief. In Shabwah, various tribes in the south of the governorate have begun to align with the UAE-back Shabwah Elite Forces, while other tribes in the governorate’s north remain loyal to AQAP. Clashes in 2019 between the Shabwah Elite Forces and tribal militias in northern Shabwah reinforce the observation that where the UAE – and to a lesser extent forces loyal to the Yemeni government – has managed to build a popular base through tribal alliances, AQAP’s operational space has shrunk. The inverse also appears true: where AQAP has maintained its alliances, direct military intervention has proved less effective. Despite the popular shift against the group in different areas, in July 2018 the UN estimated that AQAP had 6,000-7,000 fighters in Yemen and was continuing to gain recruits, train new young leaders, and was searching for new financial resources. Since 2015, AQAP has not orchestrated any attacks against western targets outside Yemen’s borders. In Yemen, the group’s exit from Aden in 2015 and Mukalla in 2016 precipitated accelerating territorial losses within the country over the next three years. AQAP fighters responded to these offensives with a retreat to safe-havens in southern governorates, while also maintaining a presence on the frontlines against the Houthis in areas such as Taiz – where its fighters have fought alongside various local anti-Houthi militias. By 2017, however, AQAP was seeing many of its previous safe areas overrun by continued UAE-backed counterterrorism offensives, notably Dawan district in Hadramawt, Azzan in Shabwa and Mahfad in Abyan, albeit the group continued some operations from nearby areas and sleeper cells. In response, AQAP fighters retreated further into al-Bayda governorate, Abyan governorate and remote parts of Marib. While direct confrontation of advancing Yemeni government or coalition-led forces was generally avoided, local AQAP branches regularly carried out targeted attacks on Yemeni security and military infrastructure and personnel. For instance, AQAP claimed responsibility for the attempted assassination of deputy minister for domestic affairs, Ali Nasser Lakhsha, in an ambush in Abyan governorate in March 2017 which left Lakhsha’s son dead. AQAP also continued to fight the Houthis, alongside other local armed groups, in al-Bayda, Taiz and al-Dhalea, while carrying out limited operations against the UAE and its local allies in Hadramawt, Shabwa and Abyan. Even with these strategic retreats, however, a United Nations Panel of Experts report in January 2018 found that AQAP averaged one attack every two days through 2017, with most taking place in al-Bayda, Abyan and Hadramawt. The group’s operational focus shifted during the year, however: roughly three quarters of suspected AQAP operations in the first six months of 2017 were against Houthi forces; in the second half of the year, roughly half of these attacks targeted forces affiliated with Yemen’s internationally recognized government and the Saudi-led military coalition. In first half of 2018, the toll of US airstrikes and the UAE-backed ground campaign against AQAP appeared to be reflected in a decrease in the group’s operations, with attacks claimed by the group dropping in frequency by more than half. While the operations against AQAP were declared victories in that they “cleared” militants from areas within the governorates, some part of this would have constituted tactical withdrawal. Moreover, AQAP has continued to demonstrate its capacity to launch attacks on these UAE-backed local forces, including a complex suicide attack on a Security Belt office in Abyan governorate in June and the killing of three members of the Shabwa Elite Forces with an improvised explosive device later that month. The same month, however, AQAP released an interview with senior leader Khalid bin Umar Batarfi which led to speculation that the group was under acute strain, with Batarfi referring to declining financial resources and increasing pressure on the battlefield. Among the most significant developments for AQAP in 2018 was the outbreak of clashes with the so-called ‘Islamic State’ group, or Daesh, ending a tacit understanding between the groups to avoid fighting and focus on their sectarian battle against the Houthis. Daesh claimed a number of attacks against AQAP during the second half of 2018, and in July released a video showing what they claimed to be 12 captured AQAP fighters. This new front grew out of Daesh machinations to assert itself in al-Bayda, where AQAP had previously recognized the group’s right to position itself, so long as it did seek to govern. The tempo of these attacks increased somewhat toward the close of 2018 and into early 2019, centering largely on Abyan governorate, where UAE-backed forces have engaged in an operation to force AQAP out of areas of the northern Mudia district. The group claimed control over the district’s al-Mahfad city in January, raising flags over government buildings and resisting UAE-backed security forces’ attempts to dislodge them. There is no reliable data about where AQAP has kept the financial resources it generated from its time in Mukalla and other illicit pursuits. However, the division of the Central Bank of Yemen in September 2016 between Aden and Sana’a undermined the bank’s ability to regulate the domestic financial sector. Simultaneously, international recognition was withdrawn from Yemen’s counterterrorism financing and anti-money laundering mechanisms – in particular the Financial Information Unit and the national anti-money laundering committee – leading most international commercial banks to cease interactions with Yemen’s commercial and Islamic banks. Saudi-led coalition prohibitions also blocked Yemeni banks from transferring foreign currency abroad. All of these factors contributed to the collapse of formal economic cycles and the proliferation of unlicensed and unregulated money exchange and transfer outlets across Yemen. Many financial observers in the country believe that these outlets, while garnering a share of the market for private and business transactions internationally, have also facilitated large-scale money laundering for AQAP. It is likely that counterterrorism operations in Yemen by the US and UAE will continue in the near future. These will continue to pressure the group militarily, prevent it from holding significant geographic areas for any prolonged length of time, and force it to remain decentralized with its senior leadership figures in relative hiding to try and avoid assassination via targeted airstrikes. On their own, however, these will amount to containment operations. Without a broader strategy to counter AQAP, it is highly likely the group will remain a threat in Yemen, and will maintain the potential to use the country as a platform from which to organize and launch operations around the region and the wider world. The myopic US focus on the military option in combating AQAP leaves unaddressed the factors that have made, and continue to make, Yemen fertile ground for the group. 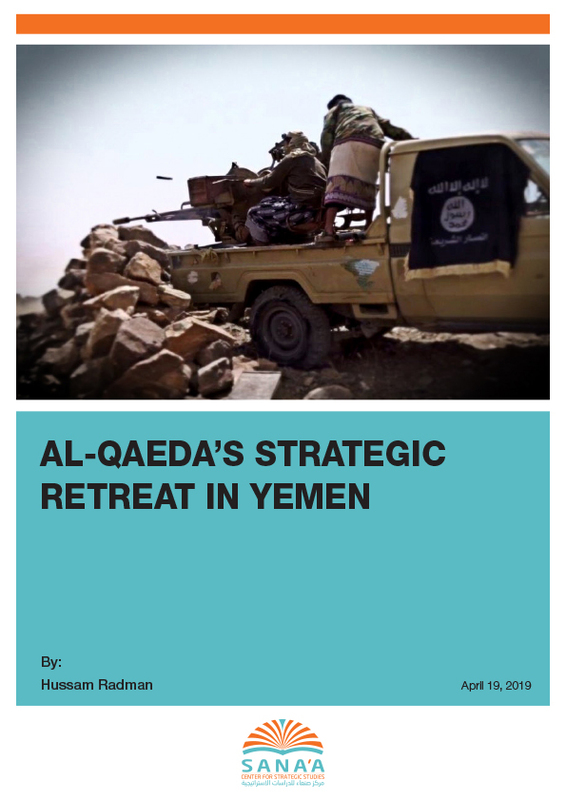 In the immediate context, the ongoing conflict in the country between the Yemeni government, its Saudi-led coalition backers and the armed Houthi movement – and the violence, insecurity, social schisms, state collapse, economic crisis and humanitarian catastrophe the conflict has wrought – continues to feed into AQAP’s interests and create operational space for the group. AQAP has also shown its ability to survive and recover from the repeated losses of leadership figures, while the ongoing war in Yemen, now entering its fifth year, creates a natural pool of talent and experience from which AQAP can recruit. Thus, the counterterrorism campaign in Yemen must include as a top priority the ending of the overarching conflict if it is to be counted as a serious attempt to defeat AQAP. Effective US counterterrorism policy should focus on improving methods, rather than increasing operations. These should include non-military approaches, specifically, bolstering effective local governance and institutions, and improving access to basic services. However, as long as the war continues and the semblance of a functioning Yemeni “government” simultaneously remains a distant prospect, opportunities for such approaches will remain out of reach. The end of the war in Yemen must also put the country on the trajectory of democratic transition, state building and reconstruction, to fill the spaces that jihadist groups would seek to fill. Until then, support and rehabilitation of local allies should prove more effective than direct intervention. In some cases, communication between the US and local authorities is virtually absent. American-Yemeni relations and cooperation should be developed, with US strategic investment directed to rehabilitating Yemen’s security and military bodies. This would facilitate much-needed understanding of the local environment and social dynamics – an area where AQAP has a clear advantage over the US. This space for cooperation can be found both with established actors – tribes in the north and the Southern Movement – as well as fledgling security bodies such as the Yemeni National Army. Member states of the Saudi-led military coalition should also seek to end conflicts between the various Yemeni parties they support – most urgently the conflict in Aden and other southern governorates between the Southern Transitional Council and the internationally recognized Yemeni government, which has on various occasions led to violent clashes. These inter-Yemeni rivalries both undermine current attempts to establish security and government authority in the south, and if allowed to persist will most likely derail the establishment of effective state functions in many areas of the country in any post-conflict scenario. As with the US, Saudi Arabia and the UAE must support a political solution to end the war to allow state building and the removal of extremist groups’ operational space. To achieve a general political consensus, this political approach should ensure fair representation of key players, rehabilitate the Yemeni government and purge individuals known for incompetence and corruption. An end to the Yemen conflict through political settlement, the restructuring and unification of security and military bodies and integration of social and political forces in the country is the only feasible path to ending to the cycle of violence and chaos that produces the space and conditions for extremist groups to inhabit. Author’s Note: This paper would not have come to fruition without the extensive edits and reviews of Holly Topham, Waleed Alhariri and Spencer Osberg. “Backgrounder: Al-Qaeda in the Arabian Peninsula (AQAP),” Council of Foreign Relations, June 19, 2015, https://www.cfr.org/backgrounder/al-qaeda-arabian-peninsula-aqap. Accessed March 21, 2019. “Al-Qaeda in Yemen,” Mapping Militant Organizations, Stanford University, July 8, 2015, http://web.stanford.edu/group/mappingmilitants/cgi-bin/groups/view/23. Accessed March 21, 2019. “Mapping the Yemen Conflict,” European Council of Foreign Relations, September 30, 2015, http://www.ecfr.eu/mena/yemen. Accessed March 30, 2018. Officials from the Mukalla Port Authority, interviewed by the Sana’a Center September 5, 2018, described how AQAP had removed all government tariffs on goods offloaded at the port and instead instituted a straight per-ton fee, regardless of the cargo or its market value. This made the cost of importing many goods through Mukalla cheaper for Yemeni traders than other ports in the country, even taking into consideration increased ground transportation costs of delivering the goods to their final market in Yemen. This resulted in increased cargo traffic through Mukalla port. Also see: Noah Browning, Jonathan Saul, Mohammed Ghobari, “Al Qaeda still reaping oil profits in Yemen despite battlefield reverses,” Reuters, May 27, 2016, https://www.reuters.com/article/us-yemen-security-smuggling/al-qaeda-still-reaping-oil-profits-in-yemen-despite-battlefield-reverses-idUSKCN0YI0Q2. Accessed March 21, 2019. “فيديو لتنظيم “القاعدة في جزيرة العرب” يتبنى فيه الاعتداء على مجلة “شارلي إيبدو”(“Video of the organization “AQAP” endorsing the attack on the magazine “Charlie Hebdo”), France 24 Arabic, January 14, 2015, https://www.france24.com/ar/20150114-شارلي-إيبدو-القاعدة-جزيرة-العرب-تبني. Accessed April 15, 2019. “اليمن: القيادي في تنظيم القاعدة جلال بالعيدي يحصي “منجزات المقاومة” (“Yemen: Al-Qaeda leader Jalal Baidi counts “the achievements of resistance”), Khabar News Agency, August 17, 2015, https://m.khabaragency.net/news-32461-اليمن:_القيادي_في_تنظيم_القاعدة_جلال_بالعيدي_يواكب_التطورات_الميدانية_في_الجنوب_وتعز_بإعلان_. Accessed April 15, 2019. Mukalla residents, interviewed by the Sana’a Center between September 1-7, 2018, described how AQAP officials had approached managers at public institutions responsible for water and electricity provision with performance benchmarks, threatening imprisonment and violent reprisals if these benchmarks were not met. This effectively ended the corruption and employee absenteeism that had been a primary factor undermining delivery of these public services. Similarly, residents reported that prior to the AQAP takeover doctor and staff absenteeism had been a main cause of excessive wait times at public healthcare facilities; after being threatened by AQAP officials, healthcare staff absenteeism dropped to minimal levels. Also interviewed in September 2018 were the city’s current administrators, who stated that many residents fled during AQAP’s rule, with the concurrent drop in demand for electricity and water services allowing for easier provision of these services for the residents who remained. Brian Whitaker and Oliver Burkeman, “Killing probes the frontiers of robotics and legality,” The Guardian, November 6, 2002, https://www.theguardian.com/world/2002/nov/06/usa.alqaida. Accessed March 21, 2019. 11. Adam Baron, Maged al-Madhaji and Waleed Alhariri, “The destabilizing legacy of US military aid and counterterrorism efforts in Yemen,” Sana’a Center for Strategic Studies, August 4, 2017, http://sanaacenter.org/publications/analysis/4517. Accessed March 21, 2018. Scott Shane, “Yemen’s leader Hadi praises US Drone Strikes,” New York Times, September 29, 2012, http://www.nytimes.com/2012/09/29/world/middleeast/yemens-leader-president-hadi-praises-us-drone-strikes.html. Accessed March 21, 2019. Adam Baron, Maged Al-Madhaji and Waleed Alhariri, “The destabilizing legacy of US military aid and counterterrorism efforts in Yemen”, Sana’a Center for Strategic Studies, August 5, 2017, http://sanaacenter.org/publications/analysis/4517. Accessed April 15, 2019. Charlie Savage and Eric Schmitt, “Trump Administration Is Said to Be Working to Loosen Counterterrorism Rules,“ New York Times, March 12, 2017, https://www.nytimes.com/2017/03/12/us/politics/trump-loosen-counterterrorism-rules.html?_r=0. Accessed March 21, 2019. “CentCom: Civilians likely killed in Yemen Firefight,” US Department of Defense News Release, February 2, 2017, https://dod.defense.gov/News/Article/Article/1068219/centcom-civilians-likely-killed-in-yemen-firefight/. Accessed March 21, 2019; Safa Al Ahmad, “Targeting Yemen,” PBS Frontline, January 22, 2019, https://www.pbs.org/wgbh/frontline/film/targeting-yemen/. Accessed March 21, 2019. Gregory Johnsen, “Trump and Counterterrorism in Yemen: The First Two Years,” Sana’a Center for Strategic Studies, February 27, 2019, http://sanaacenter.org/publications/analysis/7105. Accessed April 15, 2019. Saeed Al-Batati and Eric Schmitt, “Yemenis See Turning Point After Ousting Qaeda Militants in South,” New York Times, October 7, 2017, https://www.nytimes.com/2017/10/07/world/middleeast/yemen-al-qaeda.html. Accessed, March 21, 2019. Michael Horton, “Which Way Forward for al-Qaeda in the Arabian Peninsula?” Jamestown Foundation, March 23, 2018, https://jamestown.org/program/way-forward-al-qaeda-arabian-peninsula/. Accessed March 21, 2019. Bill Roggio and Alexandra N. Gutowski, “US killed three ‘key’ AQAP leaders in Yemen,” Long War Journal, January 11, 2018, https://www.longwarjournal.org/archives/2018/01/us-killed-three-key-aqap-leaders.php. Accessed March 21, 2019. Gregory Johnsen, “US Military’s Ambiguous Definition of a ‘Legitimate’ Target,” Sana’a Center for Strategic Studies, February 20, 2019, http://sanaacenter.org/publications/analysis/7076. Accessed March 21, 2019. “AQAP Announces Open Interview with Security Official,” SITE Intelligence Group, March 19, 2019, https://ent.siteintelgroup.com/Statements/aqap-announces-open-interview-with-security-official.html. Accessed March 20, 2019; “AQAP Claims Wounding 2 SBF in Bombing in Abyan, Attacking IS in al-Bayda’,” SITE Intelligence Group, January 25, 2019, https://ent.siteintelgroup.com/Multimedia/2nd-episode-of-aqap-s-demolishing-of-the-espionage-series-explores-recruitment-of-spies-features-alleged-audio-of-u-s-intel-agent.html. Accessed March 20, 2019; “2nd Episode of AQAP’s “Demolishing of the Espionage” Series Explores Recruitment of Spies, Features Alleged Audio of U.S. Intel Agent,” SITE Intelligence Group, January 25, 2019, https://ent.siteintelgroup.com/Multimedia/2nd-episode-of-aqap-s-demolishing-of-the-espionage-series-explores-recruitment-of-spies-features-alleged-audio-of-u-s-intel-agent.html. Accessed March 20, 2019; “AQAP Official Uses Occasion of Papal Mass in UAE to Incite Regime Change in Region,” SITE Intelligence Group, February 28, 2019, https://ent.siteintelgroup.com/Statements/aqap-official-uses-occasion-of-papal-mass-in-uae-to-incite-regime-change-in-region.html. Accessed March 20, 2019. “نص البيان الختامي للقاء التشاوري لوجهاء ومشائخ أبين” (“The text of the final communiqué of the consultative meeting of the dignitaries and elders of Abyan”), al-Omanaa Net, February 6, 2019, https://alomanaa.net/news88087.html. Accessed April 15, 2019. “AQAP Video Documents on Attacks on SBF, Shabwani Elite, and Houthis in 3 Yemeni Governorates,” SITE Intelligence Group, February 22, 2019, https://ent.siteintelgroup.com/Multimedia/aqap-video-documents-on-attacks-on-sbf-shabwani-elite-and-houthis-in-3-yemeni-governorates.html. Accessed March 20, 2019. “Annual Report of the ISIL and al-Qaeda Committee to the UN Security Council,” S/2018/705, July 16, 2018, pg. 9. http://www.un.org/en/ga/search/view_doc.asp?symbol=S/2018/705&referer=/english/&Lang=E. Accessed March 21, 2019. Michael Horton, “Fighting the Long War: The Evolution of al-Qa`ida in the Arabian Peninsula,” Combating Terrorism Center, January 2017, Vol. 10:1, https://ctc.usma.edu/fighting-the-long-war-the-evolution-of-al-qaida-in-the-arabian-peninsula/. Accessed March 21, 2019. Study by Elisabeth Kendall, cited in “UAE-backed campaign puts Al Qaeda under pressure in Yemen,” The National, March 25, 2018, https://www.thenational.ae/world/mena/uae-backed-campaign-puts-al-qaeda-under-pressure-in-yemen-1.716064. Accessed March 21, 2019. UN Panel of Experts on Yemen, “2017 Final Report to the UN Security Council, S/2018/594, pg. 21 n. 70. See also the work of Elisabeth Kendall, who tracks these numbers. “AQAP Publishes Interview with Official Regarding Military Situation of Fighters, Yemeni Public Perception of U.S. Forces,” SITE Intelligence Group, June 20, 2018, https://ent.siteintelgroup.com/Statements/aqap-publishes-interview-with-official-regarding-military-situation-of-fighters-yemeni-public-perception-of-u-s-forces.html. Accessed March 20, 2019. “The Yemen Review – August 2018,” Sana’a Center for Strategic Studies, September 6, 2018, http://sanaacenter.org/publications/the-yemen-review/6394#Attempts_to_Curb. Accessed March 20, 2019.